It's not just equal pay that women need to fight for in the workplace. Women in industrialized nations lag behind men in most aspects of job quality, according to a new study. 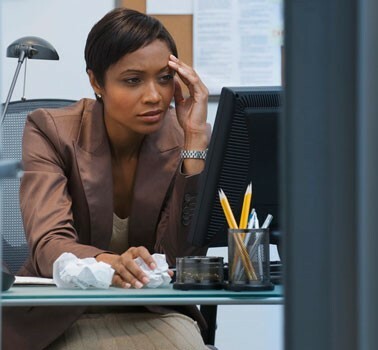 Women tend to be more stressed, they don't see as many opportunities for advancement and they report a lack flexibility and job security, the researchers found. "This result runs counter to the expectation that women's occupations compensate for their low wages and limited opportunities for promotion by providing better employment conditions," said study researchers Haya Stier, of Tel Aviv University, and Meir Yaish, of the University of Haifa in Israel. The only area where women came out ahead was physical conditions, as men were more likely to say their jobs were physically arduous or dangerous. Stier and Yaish drew on 2005 data from the International Social Survey Programme. They focused on responses about work life from 8,500 men and 9,000 women in 27 industrialized countries, including the United States, Germany, Japan, Israel and Australia. Among their findings, Stier and Yaish saw that men rated their income and opportunities for promotion 0.215 points (or 8 percent) higher than women on a scale of 1 to 5. When asked about how stressful and exhausting their job was, men rated their work 0.159 points (5 percent) lower than women did. The researchers said that the gender gap in job quality tends to narrow as women close the employment gap, so getting more women into male-dominated fields and vice versa could help to allay imbalance of women's workplace problems. Policymakers and advocates could also focus on eliminating gender stereotypes for male and female students who are making decisions about their future careers to promote equal occupational distribution, the researchers explained.